What is your favorite non-WoW downtime activity? World of Warcraft has been there for me for over 14 years when I need a break from the responsibilities in my life. My guildmates, my in-game goals, my alts — they all await me when I need to get away from the stresses of the day. But recently I’ve discovered another great passion: baking. I’ve never been much of a cook (just ask my kids) or interested in baking, but in the last year I have fallen completely down the rabbit hole into the land of baked goods. Banana breads muffins, cranberry walnut loafs, lemon blueberry macarons, vanilla buttercream cakes, and endless amounts of chocolate chip cookies have been streaming out of my oven ever since. I have found that spending time making new and various baked goods to be relaxing and rewarding. 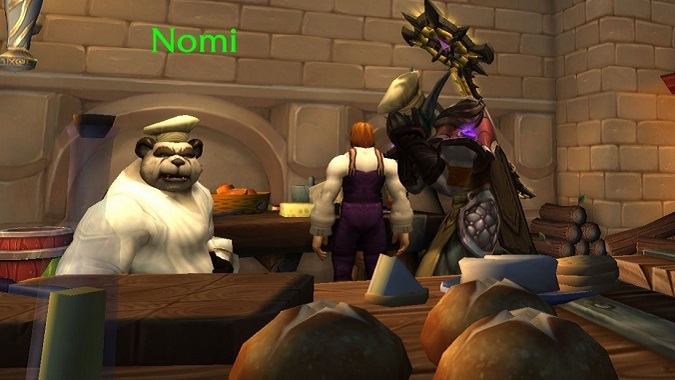 Strangely, this has brought me closer to the WoW community as many home bakers in our Blizzard Watch Discord server have swapped recipes and shared tips with me. One even brought a pan of amazing brownies to us at BlizzCon last year. Thanks, Sixthousand! What do you like to do in your spare time when you’re not logged in to WoW? Do you build replica swords? Collect 14th century Spanish galleons? Play — gasp — other games? Or just stream Netflix like the rest of us? Let us know in the comments.